Right now then the weather is not very welcoming, and we tend to spend more time indoors, our kids might get a little bit bored. That is totally normal since staying at home then the weather outside if windy and cold is pretty natural. Going out might seem as not a perfect solution as well, especially if your family’s budget is tight and you wish to save some money for a holiday. To help you out and help your kids have fun indoors without spending tons of money, I gathered a few frugal and fun activities for your family. 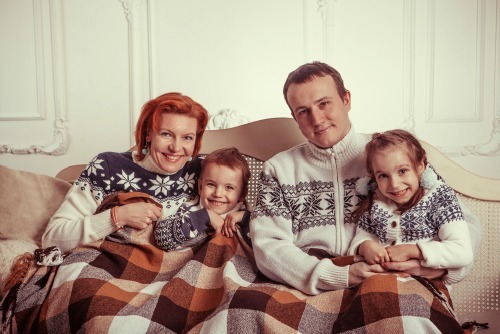 These activities will help you spend cold winter evenings cosy, warm and frugal. All kids love building forts so why not spend some time and build one massive blanket fort in your living room as well? A blanket fort will improve your kids’ imagination, let them get creative and after all – have a pleasant and comfortable time! You can improvise and create a minicamp just in the middle of the room, get some marshmallows and a few books as well. Tell stories around such make-believe campfire while snacking on marshmallows or hot dogs and have fun without even leaving the house. One of the perfect ways how to wait for the holiday season and also won’t spend a dime having fun is to make a home movie theatre once a week. 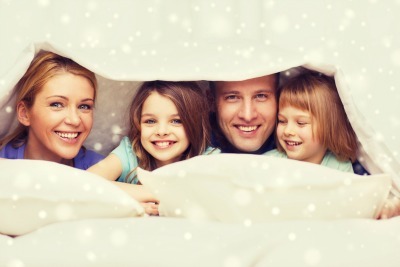 Choose four or five Christmas movies and dedicate one day per week to watch them with your kids. Grab some popcorn, sodas, and rent or buy your most favourite DVD’s to have some quality time with your family while snuggling up on the couch. You can also spend one evening per week to have a fun and lively game night with your kids as well. Every week try out a new game and have a blast competing against each other in Monopoly, playing cardsgames or board games. Make things even more interesting if you get some electronics games as well. Youhave at least one computer in your home, so try out a few games online or offline and make a tournament out of it as well. Furthermore, maybe some online coupons from ChameleonJohn.com can be handy for you while looking for game night inspirations? Check this website out for sure! 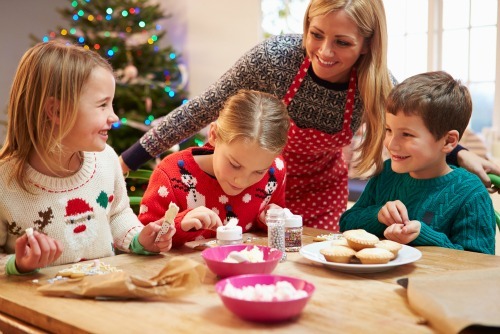 Long winter evenings can be a lot cosier if you gather all your kids and have a blast cooking dinner and desserts altogether. Kids will love helping you out in the kitchen, and they will enjoy eating what they made as well. Cook not only traditional dinners but experiment a little bit and prepare something not yet tried out. Also, an evening spent cooking Christmas cookies is always a good evening spent that doesn’t require much of your money and is full of fun. And finally, you can also spend your time with kids and family preparing for the coming Christmas. Either make Christmas gifts by yourself or wrap bought ones and spend some quality time doing something really in necessary. Also, ask your kids to create unique and hand-made Christmas cards you can send to your relatives and have a mini workshop in your living room.